Translating as ‘A list of words from "Half Joking, Half Serious"’, this contains words, phrases and connotations from Mairtin O Cadhain's collection of short stories by that name. Born in 1906 in the Connemara Gaeltacht (Irish-speaking) west, O Cadhain was a prominent radical figure, an IRA member, journalist and Irish language proponent. He was a prolific writer of short stories, and used words from his native Connemara dialect which do not appear in the 1977 Irish-English dictionary. 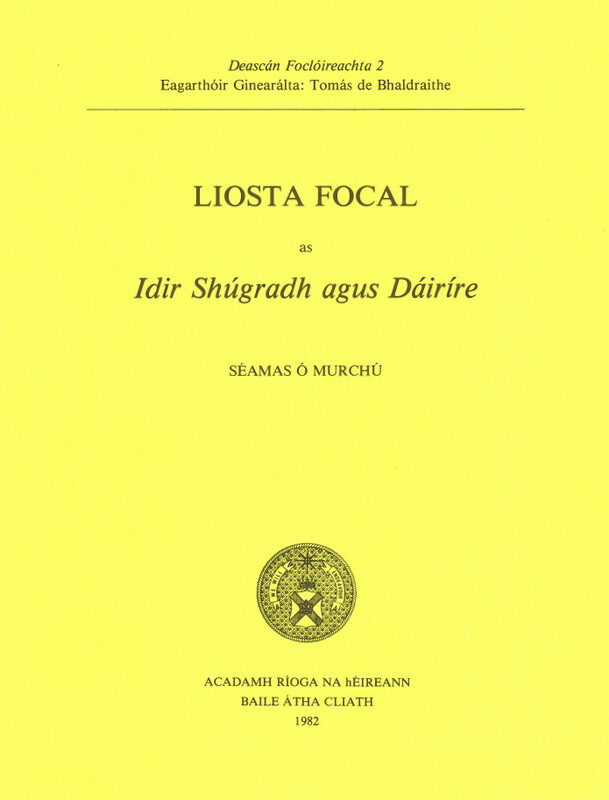 This book for Irish language scholars and curious students of country life keeps record of them.